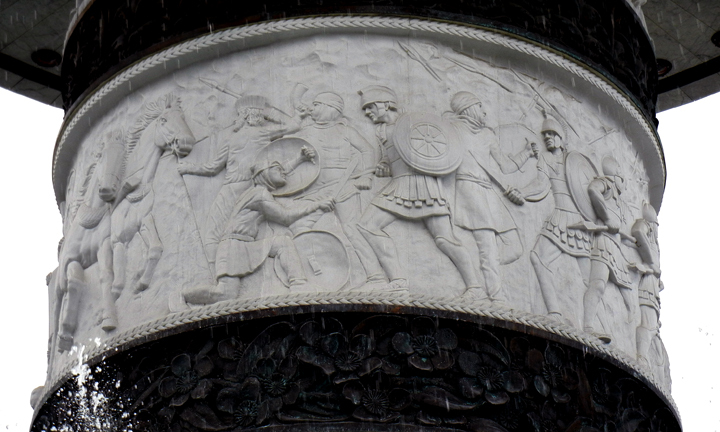 The column pedestal under the Alexander the Great bronze statue consists of three large marble sculpture reliefs depicting the victorious battles of the Macedonians against the Greeks and Persians. 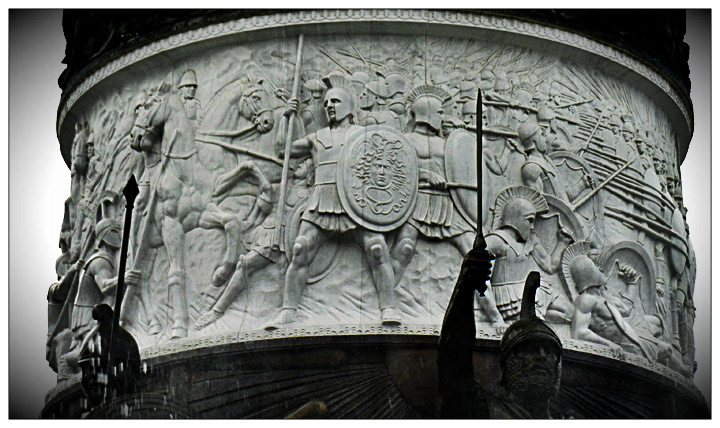 Alexander the Great is shown on all three sculpture reliefs while his father Philip appears in the one showing the Battle of Chaeronea where the Macedonians defeated unified Greece. 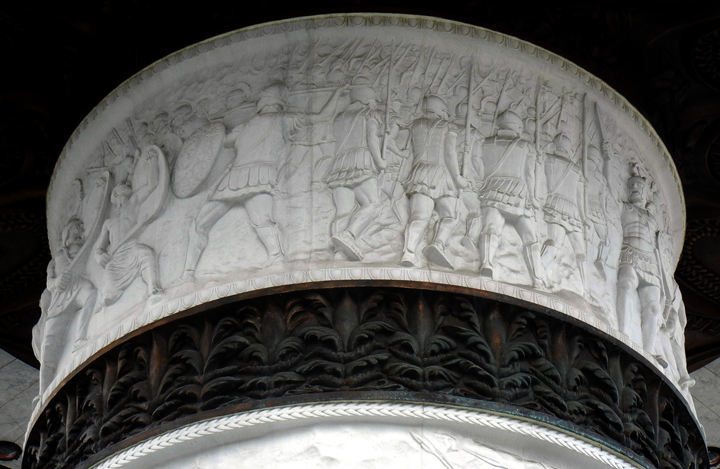 Each of the three marble sculpture reliefs is separated by bronze ring with ancient Macedonian motifs.